As an incubator for policy innovation and convener of the best minds in the public, private, and nonprofit sectors, the arts, and journalism, the Sine Institute is pleased to announce its inaugural class of Fellows and Distinguished Lecturer. These experts will lead discussions and study sessions with students, as well as convene and participate in campus-wide events throughout the year. So, What's a "Progressive" Anyway? 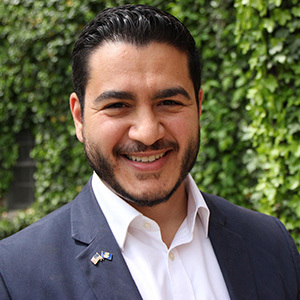 Abdul El-Sayed is a physician, epidemiologist, public health expert, and progressive activist. 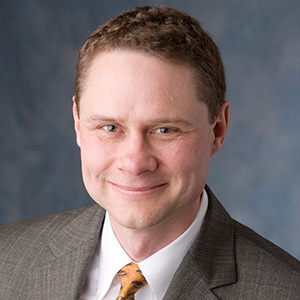 He is chair of Southpaw Michigan and senior fellow at the Governing Institute. El-Sayed is the author of the forthcoming Moral Medicine, a book about the epidemic of insecurity and the focus on empathy we will need to cure it (Abrams Press). In 2018, he ran for governor of Michigan on a progressive platform. El-Sayed served the City of Detroit as health director, appointed to rebuild Detroit's Health Department after it was privatized during the city's bankruptcy. He was awarded Public Official of the Year by the Michigan League of Conservation Voters and 40 Under 40 by Crain’s Detroit Business. Prior to entering public service, El-Sayed was assistant professor of epidemiology at Columbia University’s Mailman School of Public Health, where he led Columbia’s Systems Science Program and Global Research Analytics for Population Health. El-Sayed earned a doctorate in public health from Oxford University, where he was a Rhodes Scholar. He also holds a medical degree from Columbia University, where he was an NIH-funded Medical Scientist Training Program Fellow and a Paul and Daisy Soros New American Fellow. El-Sayed graduated Phi Beta Kappa with highest distinction from the University of Michigan. A native Michigander, he was born and raised in Metro Detroit, where he lives with his family. 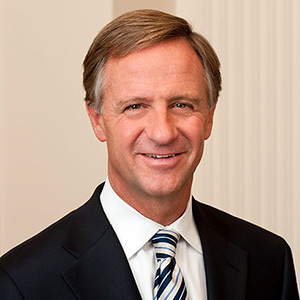 Bill Haslam has served as governor of Tennessee since January 2011. Under his leadership, Tennessee is recognized as a national leader in education, economic development, efficient and effective government, and fiscal strength. Since 2011, Tennessee students have been the fastest improving in the country in academic achievement. Tennessee became the first state in the nation to offer high school graduates and adults two years of community or technical college free of tuition and mandatory fees. In 2013, Haslam launched Drive to 55 to increase the number of Tennesseans with a postsecondary degree or credential to 55 percent by 2025. Since Haslam took office, more than 400,000 net new private sector jobs have been created in Tennessee. The governor worked with the Tennessee General Assembly in 2017 to pass the largest tax cut in Tennessee history while delivering a safe, reliable and debt-free transportation system. During his tenure, Tennessee has been a three-time winner of State of the Year for economic development by Business Facilities magazine and, for only the second time in state history, Tennessee was awarded a AAA bond rating. Haslam and his wife have been married for 36 years. They have three children and eight grandchildren. For three decades, William Kristol has been a leading participant in American political debates and a widely respected analyst of American political developments. Having served in senior positions in the Ronald Reagan and George H. W. Bush administrations, Kristol understands government from the inside; as a professor at the University of Pennsylvania and Harvard University, he has studied American politics and society from the outside. 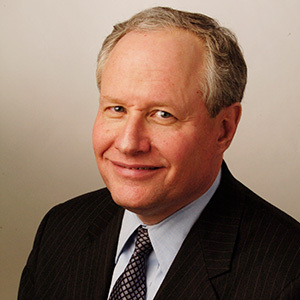 Kristol founded the Weekly Standard in 1995 and edited the influential magazine for over two decades. Now, as founding director of Defending Democracy Together, an organization dedicated to defending America’s liberal democratic norms, principles, and institutions, Kristol is in the midst of the national debate on issues ranging from American foreign policy to the future of the Republican Party and the meaning of American conservatism. Kristol frequently appears on major television talk shows, and he also hosts the highly regarded video series and podcast, Conversations with Bill Kristol. Kristol received his undergraduate degree and his PhD from Harvard University. Invited Guest Speaker: Benjamin Wittes, Lawfare blog, author of "Confirmation Wars"
Ruth Marcus is deputy editorial page editor for the Washington Post. She also writes a weekly column and is a contributor for MSNBC and NBC news. She joined the Post’s national staff in 1986, covering campaign finance, the Justice Department, the Supreme Court, and the White House. 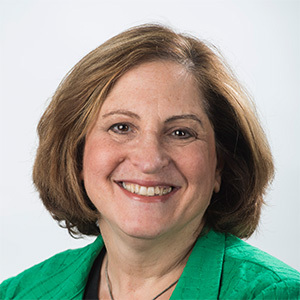 From 1999 through 2002, she served as deputy national editor, supervising reporters who covered money and politics, Congress, the Supreme Court, and other national issues. Marcus joined the Post’s editorial board in 2003 and began writing a regular column in 2006. She is currently on leave to write a book for Simon & Schuster about Justice Brett Kavanaugh and the confirmation process. A graduate of Yale College and Harvard Law School, Marcus was a finalist for the Pulitzer Prize for Commentary in 2007. Karen Zacarías was recently hailed by American Theatre magazine as one of the ten most-produced playwrights in the US. Her award-winning plays include The Copper Children, Destiny of Desire, Native Gardens, The Book Club Play, Legacy of Light, Mariela in the Desert, The Sins of Sor Juana, and the adaptations of Just Like Us, Into the Beautiful North, and How the Garcia Girls Lost Their Accents. She is the author of ten renowned TYA (Theatre for Young Audiences) musicals and the librettist of several ballets. Zacarías is one of the inaugural resident playwrights at Arena Stage, and a core founder of the Latinx Theatre Commons — a large national organization of artists seeking to update the American narrative with the stories of Latinos. She is also the founder of the award-winning Young Playwrights’ Theater (YPT), cited by the Obama administration as one of the best arts education programs in the nation. Zacarías was just voted 2018 Washingtonian of the Year by Washingtonian magazine for her advocacy work involving the arts. 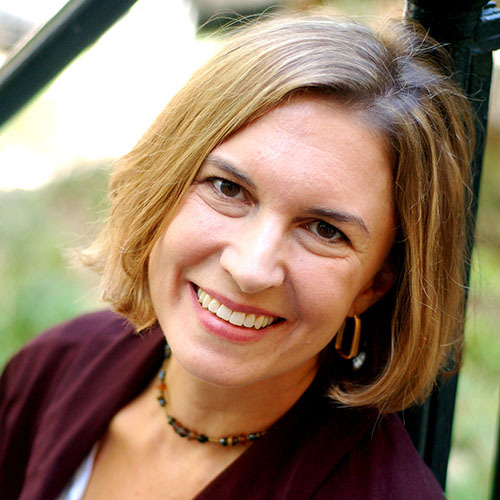 She has a BA with distinction from Stanford University and an MA in creative writing from Boston University. Born in Mexico, Zacarías now lives in Washington, DC, with her husband and three children. Wes Bush has chaired the global aerospace and defense technology company Northrop Grumman Corporation since 2011. Bush previously served as Northrop Grumman’s chief executive officer from 2010 through 2018 and president from 2006 to 2017. Prior to 2010, he was the company’s chief operating officer, chief financial officer, and president of its Space Technology sector. Before the acquisition of TRW by Northrop Grumman in 2002, Bush served as president and chief executive officer of TRW’s UK-based global Aeronautical Systems and as vice president of TRW Ventures. He joined TRW in 1987 in its space business, and prior to joining TRW, he held engineering positions with both the Aerospace Corporation and COMSAT Labs. Bush serves on the boards of several nonprofit organizations, including Conservation International, Inova Health System, and the USO board of governors. He is a member of the National Academy of Engineering. Bush also serves on the boards of directors of Northrop Grumman Corporation and Norfolk Southern Corporation and the advisory committee of DowDuPont’s Materials Science Division.